The UCD School of Politics and International Relations ran a session at the 2017 UCD summer school earlier this week. A group of 5th year students, from schools across the length and breadth of the country, were in attendance. 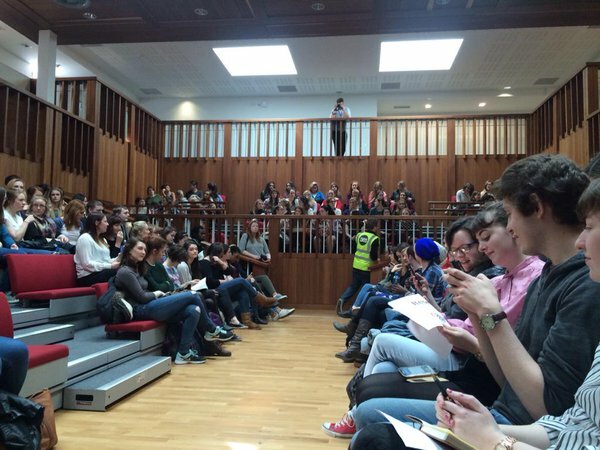 For part of the session we met in the Garret FitzGerald debating chamber at the UCD student centre where there was a student-led debate on the direction that Fine Gael’s newly elected leader should take his party and the country. While hardly a representative sample, the ‘Leo manifesto’ is instructive in showing the direction some of our younger citizens would like to see our prospective new Taoiseach go. Three key themes were foremost in the students’ list of priorities. It’s no surprise that top of the list were social and housing issues. There were calls for more investment in infrastructure. There were impassioned pleas to take better account of the needs of rural communities (and how to do so would have knock-on benefits for urban communities). There was also a lot of emphasis on the need for a more assertive foreign policy. In particular the students wanted clearer policies on how to deal with Brexit and Trump’s USA, and a more coherent immigration policy. A third main theme was focused on how Leo should make a virtue of his own personal identity as young, gay and of mixed background, that he should expressly embrace these features so as to help promote an image of an Ireland that is young, inclusive, and one that is trending towards greater secularization. To sum it up, this ‘manifesto for Leo’ lays emphasis on a vision for Ireland that makes a virtue of social equality, is more assertive in foreign policy, and promotes a more modern outlook. This entry was posted in Opinion/Debate, SPIRe staff, UCD SPIRe students. Bookmark the permalink.